Thousands of years in the past, a powerful race of mythical beings ruled over the humans. They were dubbed as the Shadow Angels; they had powers that enable them to gather the life force of mankind. Because of an unexplained event that took place, these beings laid asleep for 12,000 years. 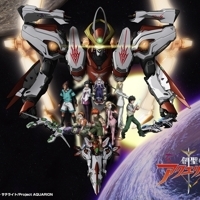 888 users rated Aquarion [TV].